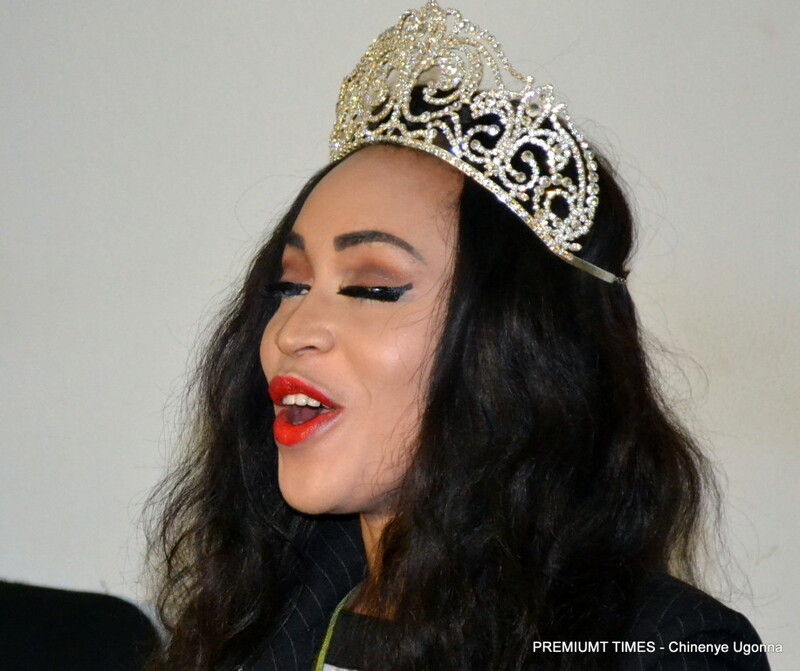 Law student, Bertha Eke, was crowned Miss FCT Nigeria 2014/15 in May. Since then, backed by the organisers of the event, she has embarked on humanitarian projects within Abuja and its environs. The student of the University of London also has a degree in French and International Relations. Born in Jos and raised in Abuja, the beauty queen hails from Abia state. PT: What inspired you to go for the competition? Eke: Well, honestly, it wasn’t something I planned. I even got to know about my participating in the pageant a week before we were to come for auditions. PT: Did you sign up for the pageant to prove you are beautiful? Eke: Actually, I never knew I was going to win, never! I don’t want to go into details but there were lots of challenges. I actually wanted to quit a night before the D-day. We were in camp for a week and you know when you are in an enclosed space with a lot of girls, probably, they see you as a competition and device means just to bring you down and frustrate you. We were almost 20 girls in camp. I was frustrated. They almost succeeded but at the end of the day, I pulled through and I thank God. PT: What have you achieved so far as Miss FCT Nigeria? Eke: After my coronation, I embarked on my project, Empowered to Empower, which is aimed at empowering the youth, the less privileged, widows, the disabled and reaching out to the aged in Nigeria. We make use of strategic campaigns, seminars, outreach programs and empowerment workshops. I am actually an empowerment activist so to say. So, we advocate access to education for all, then we try to reduce the issue of Vesicovaginal Fistula, VVF, by fighting against early girl child marriage. We also fight against the harmful traditional practice of female genital mutilation in Nigeria, otherwise known as female circumcision. We reach out to destitute children, and try to empower and equip them with basic vocational knowledge and skills so that they can be empowered to start their own businesses. Our vision is empowering the youth to empower the world. We try to protect the youth from the HIV/AIDS infection; carry out sensitisation and awareness campaigns in some secondary schools. Under the two months plus, I have done a whole lot. I am passionate about helping the Nigerian child. Even prior to my coronation, I worked with the Child Right Initiative. We reached out to the Nigerian child and we empowered them with the knowledge of their rights as Nigerian children based on the Child Rights Act of 2003. We did a couple of outreach programmes in schools in the FCT before I was crowned. But this is something I am passionate about. It’s not just because of my present seat that I am doing this. PT: Do you get paid for all this? Eke: No, but I am allowed to work. However, for now, I am dedicating my time to my PET project. As far as you can balance it, you are allowed to work. Eke: Of course, I am single and I am dedicating all my time and attention to my project. You have to apply the principle of diplomacy in everything you do. Like I said, I am putting all my attention to my pet project. I don’t need any form of distraction. When it comes to dating, I am off it. PT: What do you look out for in a man? Eke: The man must share my vision. Like I said, I want to reach out to people, I want to empower the youth to empower the world so he must be passionate about empowering people also. I want a godly man and I want someone who is committed to the course of humanity. PT: How do you stay beautiful? Eke: I use Eman Day skin care product. I have a very sensitive skin and the Nigerian weather is terrible. But Eman Day skin care product has really helped me in maintaining my skin, I must say. That’s what I do in the morning. I wake up and have my bath and say my prayers. When you spend time with God, you remain beautiful. That is one thing I must say. I always give it to God. In the morning, I spend like two hours in fellowship with God before I go ahead for my daily routine. So when you spend time with God, you remain beautiful, you remain refreshed. You are renewed like an eagle. PT: Did your family support you competing in the pageant? Eke: My mom has always been there for me. She’s a wonderful woman. She’s my backbone, she’s my everything. My dad has always been there for me too but I am closer to my mom. My siblings all support and love me. I am the first of three girls. PT: How is life in the limelight? Eke: Well, it’s okay. A lot of people are like: Oh, are you still with your friends and all that but I am more of an introvert. It kind of contrasts with my present status. But I have been able to combine it all and it has been amazing. PT: What are your future plans? Eke: I plan to achieve a whole lot. “Empower to empower” would give birth to an NGO because it’s going to live on. It’s just not going to die with my reign. It’s something I am passionate about like I said earlier. I hope to reach out to more people, to a lot of people within and outside Nigeria.